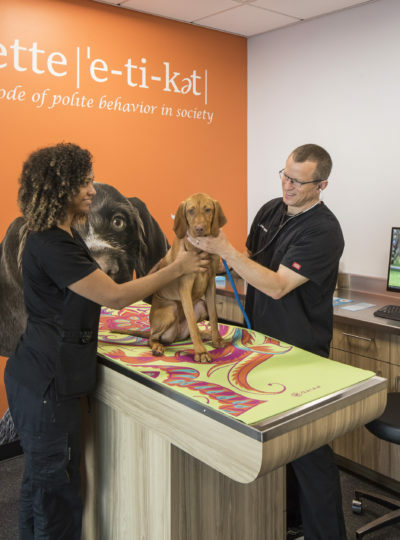 Dr. Boyd’s Veterinarian Resort’s newest location occupies 12,500 square feet in a former retail box store. As the third location, the Rockville Resort benefits from the experience of the owners who set out to create a new brand of pet care facility: one built to nurture the nature of dogs in a loving, compassionate, and safe manner where their instincts are honored and their desires nurtured. 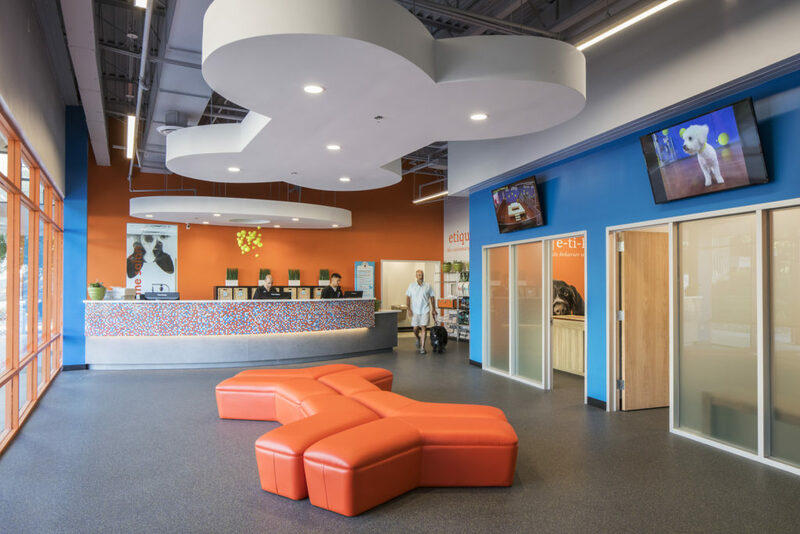 The facility is staffed 24/7/365 providing full service veterinary supervised boarding where all dogs are treated to 12 hours a day of play in the multiple indoor and outdoor play yards. 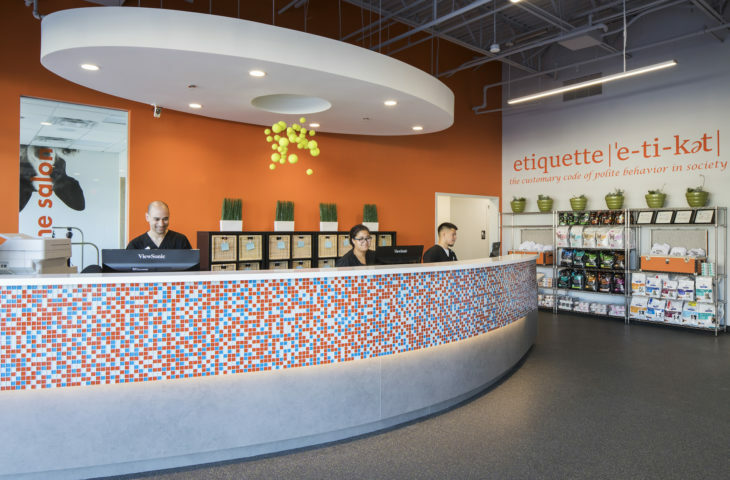 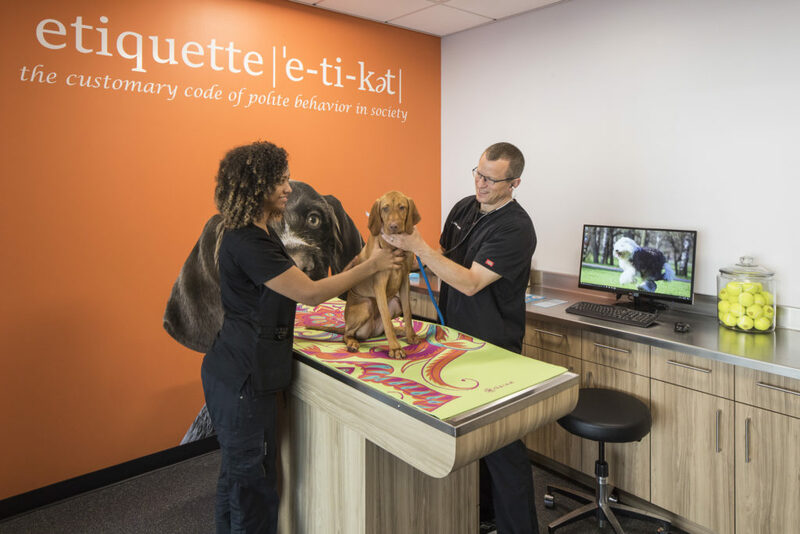 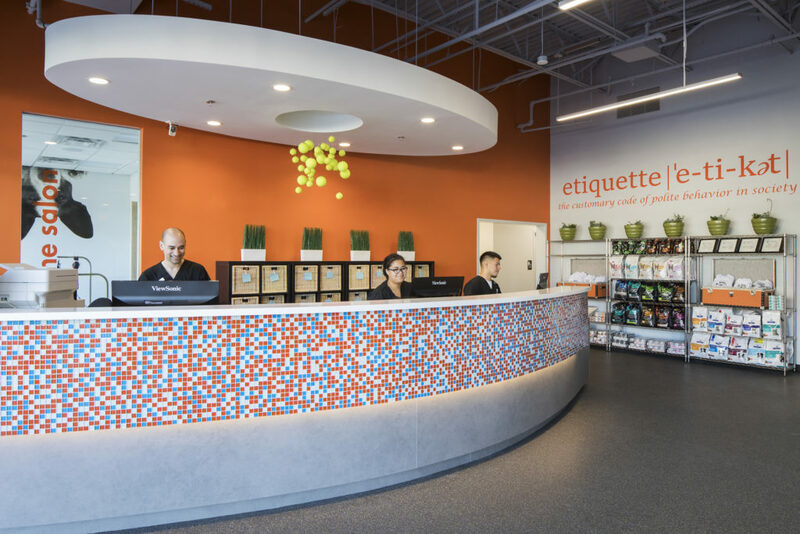 The pet friendly facility begins with a concierge/waiting area anchored by a semi-circular desk, clad in colorful tiles and durable materials where staff can welcome their guests. 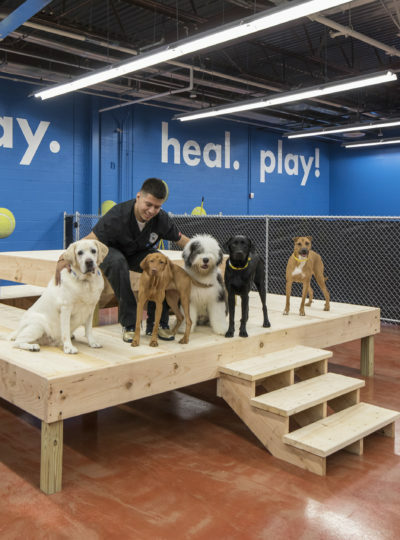 If their attention isn’t grabbed by the tennis ball “chandelier”, their families can relax on the dog bone shaped seating area beneath a dog boned shaped ceiling feature. 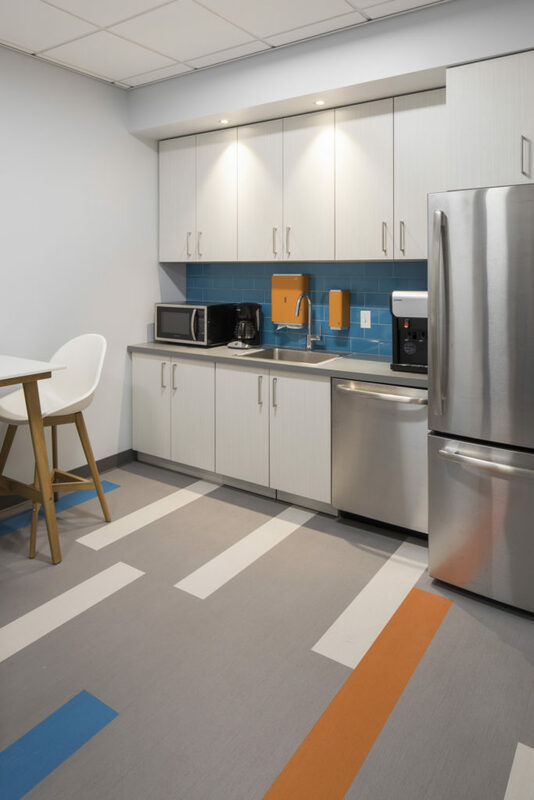 While waiting, one can see what’s happening throughout the resort on one of three TVs mounted above the exam rooms, adjacent to the lounge area. 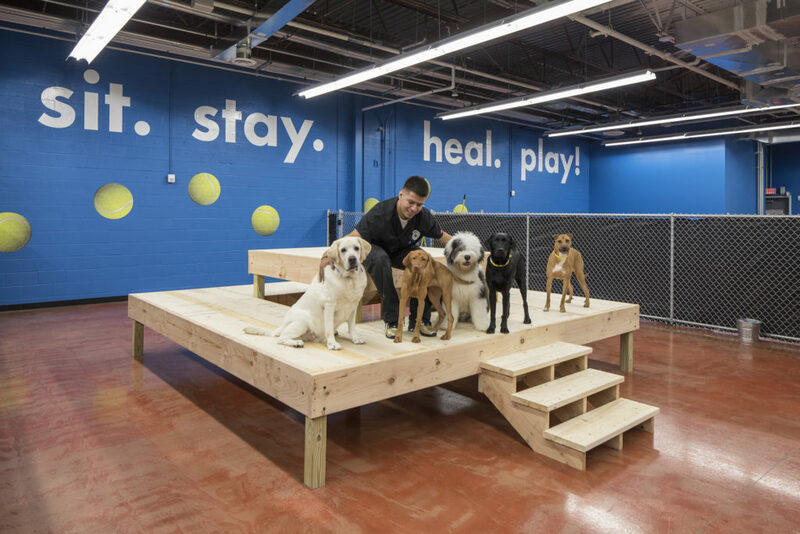 There is also a clear view into the cat tree room, where feline guests can roam. 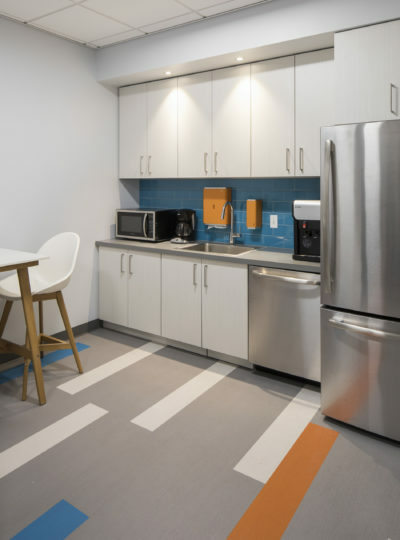 The exam rooms include state of the art equipment while residing in a colorful and friendly environment. 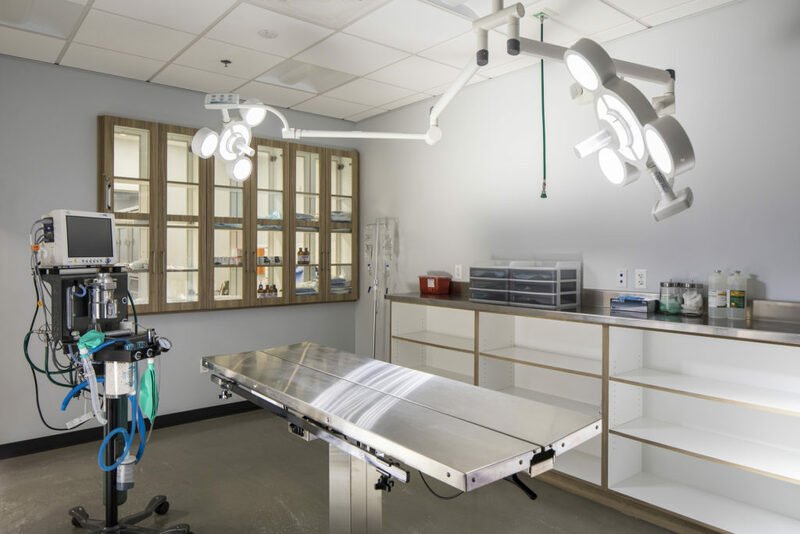 The hospital occupies the center of the facility, where the veterinarians and veterinary technicians can attend to their guests in a safe, clean space. 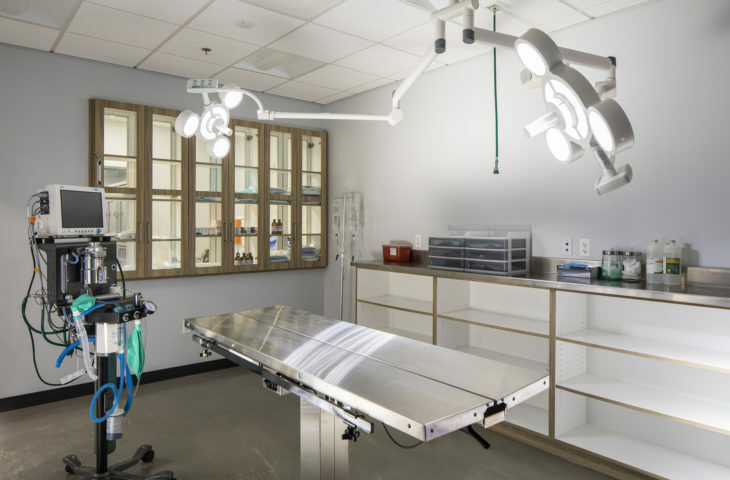 Guests are offered a quiet ward to recover from procedures and an isolation room in the rear of the space is available for those that need to be segregated.